The aim of Brimmer and May Summer Camp is to provide a warm, creative environment for children to grow, learn, and laugh out loud. Designed specifically with the younger child in mind, the Camp program inspires children to make new discoveries and try new things. Our campers receive individualized attention from counselors in small-group settings. A blend of creative arts and physical activities allows children to find a place to challenge themselves as well as a place to shine. The Camp staff hopes that campers return home at the end of the day not only with a sense of accomplishment but also "brimming" with songs, stories, and smiles. The Young Child, by providing a nurturing environment for campers ages 3-10. Experienced, loving counselors encourage campers to take risks and to become more confident and self-assured. Small Groups, by limiting enrollment and maintaining a low 1:5 counselor-to-camper ratio. Children are encouraged to cooperate and share, both with each other and with their counselors. The Arts, by allowing each child to discover the artist within. Every camper has the opportunity to explore his or her creative potential through drama, dance, music, and visual arts. Works in progress are shared with the camp community during weekly assemblies. Physical Activity, by helping children to develop and hone balance, coordination, and motor skills. 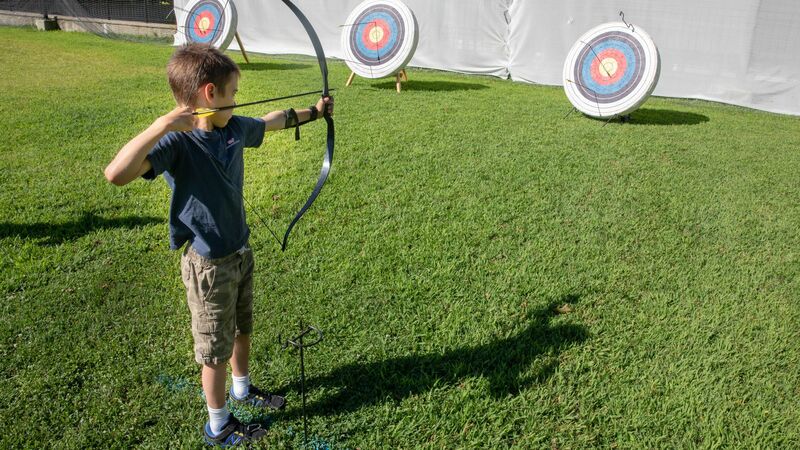 Camp offers a variety of physical activities from aquatics to archery, and from gaga to field games. Brimmer and May Summer Camp is Accredited by the American Camping Association. 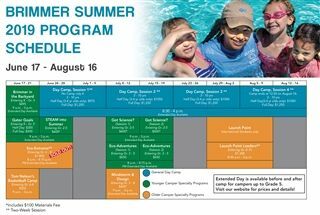 Brimmer and May Summer Camp must comply with regulations of the Massachusetts Department of Public Health (105CMR 430) and be licensed by the Town of Newton Board of Health.